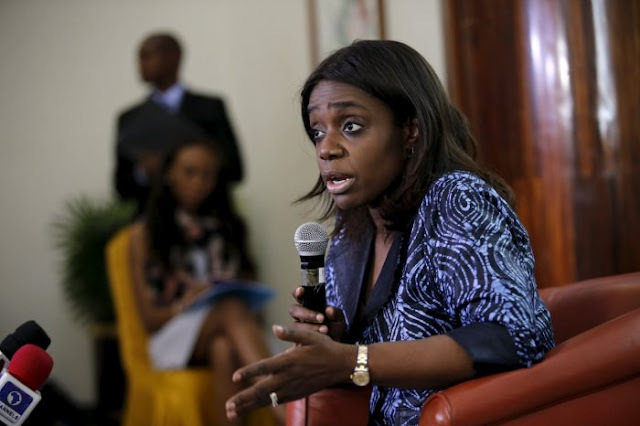 Kemi Adeosun, Nigeria’s finance minister, has declared that the country is already getting out of the economic recession because of the “pragmatic approach” of the Muhammadu Buhari-led government. Adeosun made this statement on Wednesday, September 28, 2016 while fielding questions from journalists at the end of a two-day National Council of Finance and Economic Development conference held at the Green Legacy Resort, Olusegun Obasanjo Presidential Library, Abeokuta. The event, themed, Enhancing Revenue Generation and Obtaining Best Value for Money in Expenditure, was held in conjunction with the federal ministry of finance and was attended by the finance commissioners of all the states in Nigeria. Adeosun said with confidence that since the problems have been identified, and steps are already being taken to block waste, the road to recovery was sure. “We are already getting out of recession because of the actions the Federal Government is taking,” the finance minister said. She explained that agriculture and solid minerals are already starting to grow, as they are responding to government’s policy initiative. Adeosun said stakeholders from 36 states across the country had brainstormed for two days while resource persons also delivered papers, adding that the economic recovery would be driven at the state and local government levels. She advised finance commissioners and the accountant-generals in the states to compute their balance sheets, which would show their assets and liabilities.